Ticul, quaint and quiet town also known as "La Perla del Sur". Until the sixteenth century, this charming population was one of the most important provinces in the Maya area, home of the powerful chiefdom of Tutul Xi and today is also one of the most important of the State of Yuatn. Mayan world, it is part of both the Puuc Route, and the Route of the Convents, so makes this city an excellent option to visit. 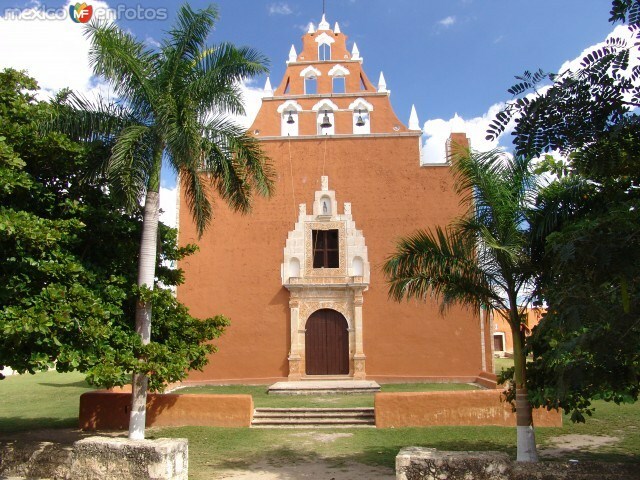 Ticul city is famous for its handicrafts made with red clay and is considered the most important of the State of the Yucatan pottery center. Walking through the city, you could find numerous workshops where appreciate the ancestral techniques used in the elaboration of various objects ranging from vases and pots, to excellent quality reproductions of ancient Mayan figures and original decorative objects , made by local craftsmen, using the same techniques of potters of the corresponding low to the splendor of this fascinating culture. In homage to the artisans of Ticul, in one of its squares it is a sculpture of the hands of artisans. Ticul is also famous for its production of fine footwear for women, and leather articles, made in workshops of the population. The shoe is made by hand ticuleas export quality, with a variety of designs and styles. The city has hotels of 1, 2 and 3 star restaurants, market, bank, pharmacy, phones and internet service, medical aid, terminal of buses, taxis and the original "tricitaxis" which are adapted tricycles to service within the population. There are amazing little colonial buildings such as: The Chapel of San Enrique and the Chapel of San Juan located on Ticul; City Hall and the main house of Ex Hacienda Tab; and between religious buildings stand the former convent and parish of San Antonio de Padua and the chapels of Santiago, Mejorada, Our Lady of Guadalupe, San Romny San Ramon. In Yotholn, the temple of San Buena Ventura built in the eighteenth century and Pustinuch, former convent and church of Assumption of the eighteenth century; Pursima Conception Church, now named Marian Shrine. Within the jurisdiction of the municipality there are archaeological remains such as: Chancouc, Idzibil, Banazay, Xcanalep, Dzula, Mecalab, Xcuntikam and Itzimte. Near Ticul interest sites as the Caves of Loltny Calcehtok where you can go espeleologao only admire the natural beauty of both caves, the archaeological zone of Uxmal, Sayil, are Labn and Xlapak and cenotes Uayalc, Mucuych, Sacalum and Cuzam, so that this city is a starting point to explore these interesting places. 11 to 15 of February. In Pustunich the traditional festival takes place in honor of the coronation of Our Lady of the Assumption. During the month of May shows, bullfights and popular dances are performed in honor of the Holy Christ of the Blisters. In mid-July, the anniversary of the city is held, so that a large expo-fair with exhibitions of handicrafts, footwear, dress, dances and craft art is performed. 11 to 15 of August. Feast in honor of the Virgin of the Assumption. 23 to 25 of September. Feast in honor of San Romn. October 7. Festival dedicated to the Holy Christ of the Blisters. Gastronomy. Ticul city is considered the birthplace of the famous Poc-Chuc, made with roasted pork ribs carbny seasoned with onions, grilled tomato, beans, habanero chile and handmade tortillas. Also are delicious traditional dishes like stuffed Indian black turkey, pickled panuchos and salbutes, empanadas, tamales and polcan.